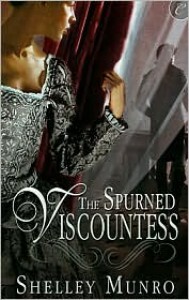 The book: The Spurned Viscountess by Shelley MunroThe particulars: Historical Romance, Carina Press, available as e-bookThe review:The blurb:Cursed with the sight and rumors of witchcraft, Rosalind's only chance at an ordinary life is marriage to Lucien, Viscount Hastings. She doesn't expect love, only security and children of her own. Determined to go through with the wedding, she allows nothing she encounters at the gloomy Castle St. Clare to dissuade her.Recently returned from the Continent, Lucien has no time for the English mouse his family has arranged for him to marry—not when he's plotting to avenge the murder of his beloved Francesca. He has no intention of bedding Rosalind, not even to sire an heir.Though spurned by her bridegroom, Rosalind turns to him for protection when she is plagued by a series of mysterious accidents and haunted by terrifying visions. Forced to keep Rosalind close—and tempted into passionate kisses—Lucien soon finds himself in grave danger of falling in love with his own wife . . . My impressions:I picked up this book earlier this year when Carina Press offered it for free with a coupon. I never got around to read it, until now.It is a decision that I regret, because this book was really, really good. I could almost taste the sea salt in the air when I read it. It wasn’t just the setting that felt realistic. The smugglers presence and how they affected the villagers added another layer of suspense. Both Rosalind and Lucien were scarred by the past. Those scars made them struggle with trusting each other. 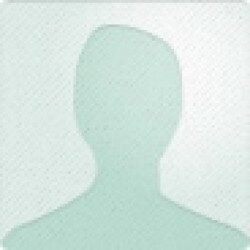 This was one of the most heartwrenching romances I have read in a long time. When I reached the end, I closed the book with a content sigh. I’ll definitely get more of Shelley Munro’s books!